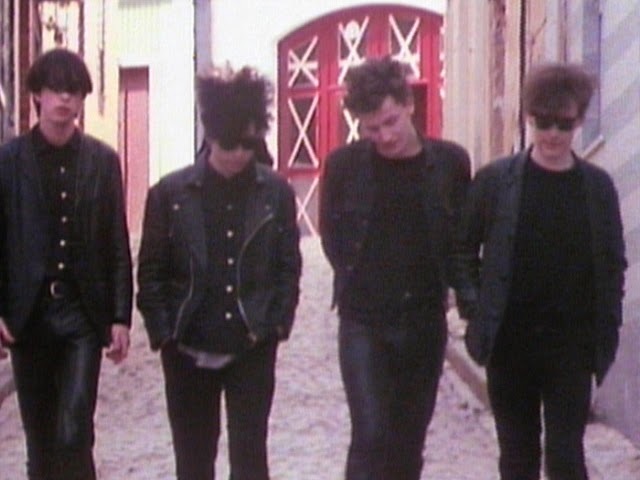 It’s 2014 and the Jesus and Mary Chain are all the rage again, playing reunion shows some twenty-nine years after the release of their seminal debut album Psychocandy. Next year promises much more of the same when the thirtieth anniversary kicks in. While this makes me feel old, it also makes me feel happy. More than any other band, the Jesus and Mary Chain changed my life for the better. I sign copies of my novel with the inscription ‘rock’n’ roll saves lives’ because they saved my mine. The Jesus and Mary Chain were part of several life changing detours that I took in 1985 when, on a whim, I decided to move to England and study at the University of Essex. My novel, Wivenhoe Park, is a semi-autobiographical account of what went down. I was incredibly lost my first two years of college. The biggest goal I had when I started school at the University of Michigan was to make the varsity cross country team, but those plans capsized within months as I tried, without success, to balance out running, keeping up with my classes, and partying like a rock star. In high school I would drink occasionally on the weekends, but without parental supervision, things quickly got out of control. I ended up quitting the team, later even getting hospitalized for a week with pancreatitis. I had become so depressed that I ended up seeing a shrink and got prescribed Valium. I certainly didn’t mind that part! My sophomore year was a blur — it probably sounds cliched but I felt like I didn’t belong and was looking for an exit strategy. Just a few weeks before study abroad application deadlines were due, I decided to apply for two programs in England: University of Essex and York University. To this day, I’m eternally grateful that my parents let me do this. I ended up getting accepted at both schools, choosing Essex because of its closer proximity to London. Essex was a completely different world to Michigan. The students were much more politically active and I felt like I didn’t have to search so hard to find kindred spirits. For the first time in a long time, I felt at home. In perfect synchronicity, Psychocandy came a few weeks after I arrived and quickly became the soundtrack to my year. I bought every magazine I could that had articles about the group, even cutting and styling my hair into a spiky mess as a homage to Jim and William Reid. My best friend was another like-minded American named Marc (Johnny in the novel). He arrived on campus in January and we met at a campus disco a few days after he landed in London; the two American dudes with pierced ears. I told him about Psychocandy, which hadn’t come out in America yet, and he was desperate to hear it. We ended up going back to my room and playing my cassette and drinking whiskey out of a bottle that I had on my shelf and became friends for life. Marc got me into a lot of great music — he had a tape of some previously unreleased Velvet Underground tunes — and we saw countless shows together, even traveling in France and Italy. I tried to recapture that reckless rush of youth I experienced in England when I wrote Wivenhoe Park, playing the Mary Chain on repeat as I banged out the early drafts. The album is still my best music friend and because of it I feel like I was brave enough to forge out a path that lead me to becoming a music writer, who even got to meet most of his heroes, including Creation Records founders Alan McGee and Joe Foster, the men who brought the Jesus and Mary Chain to the world. Creation was my inspiration when I had my own label Elephant Stone — most of the records I put out owed at least something to the spirit of the Jesus and Mary Chain. Happy 30th Jesus and Mary Chain — hope to catch up with you again sometime soon.